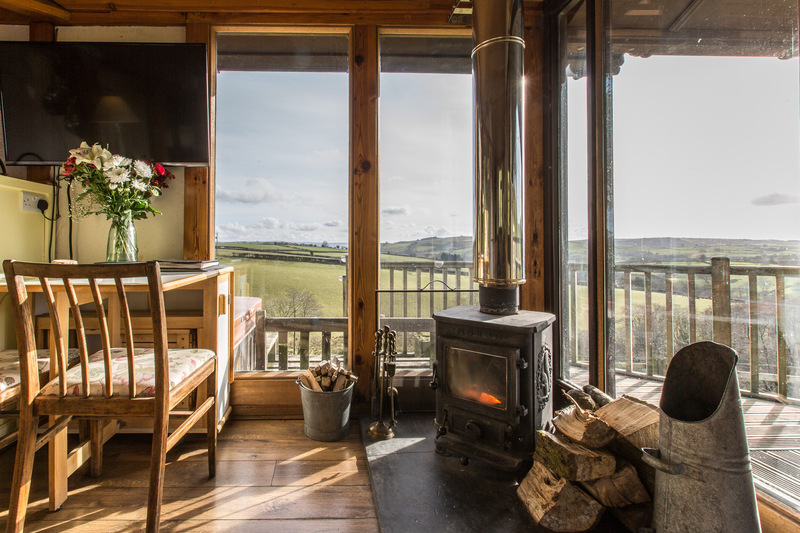 Escape the rush of life with a stay at Pengelli Farm Lodge – a timber-clad piece of paradise in the rolling Welsh countryside. 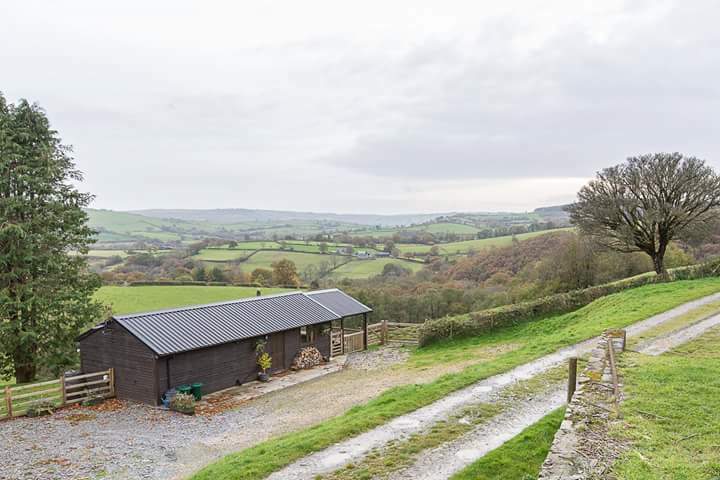 We offer self-catering accommodation for up to five people, with the added bonus of exquisite views across Carmarthenshire. 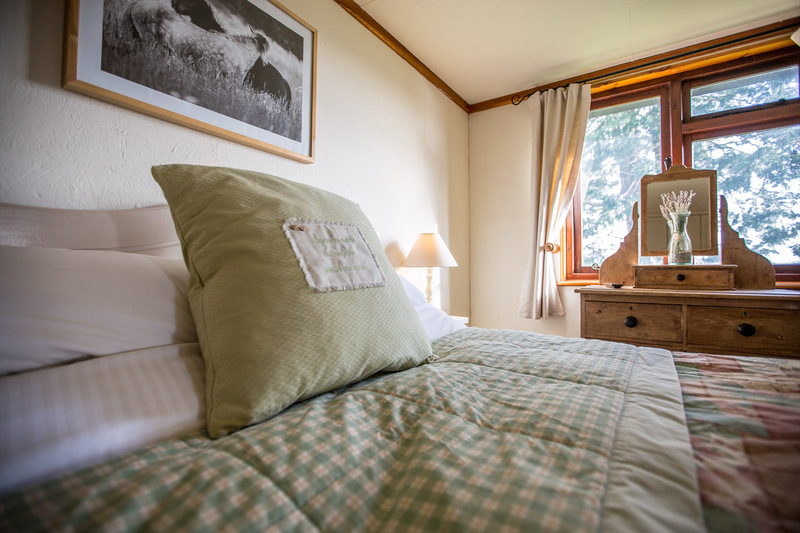 Set on a 122-acre working stud farm, guests are invited to enjoy these wonderful surroundings and this beautiful cabin all year round. 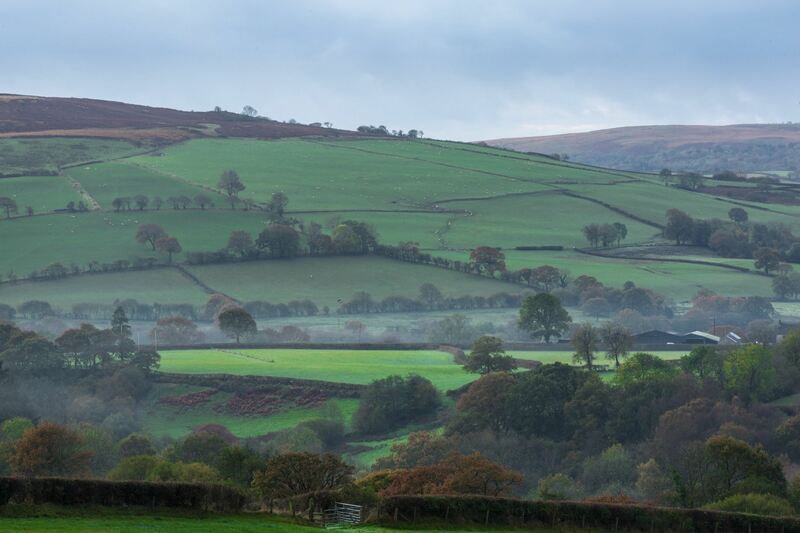 Positioned to make the most of stunning vistas across Cothi Valley, Pengelli Lodge will take your breath away as soon as you pull up outside. 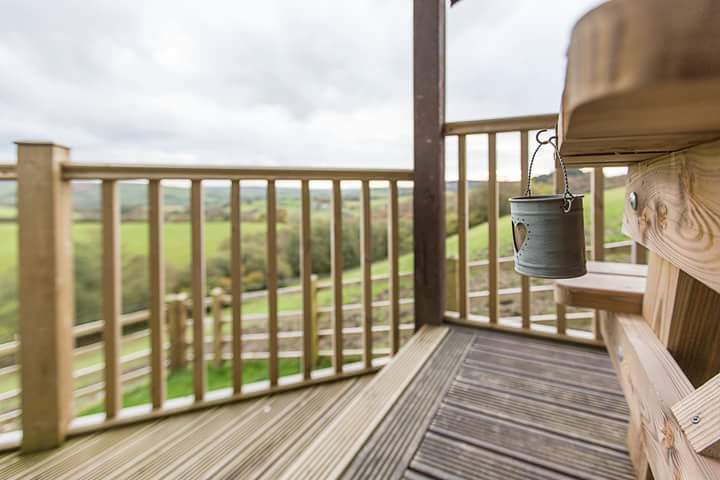 As you approach the front door on the large, covered terrace, you’ll get your first taste of the stunning views that accompany you throughout your stay. 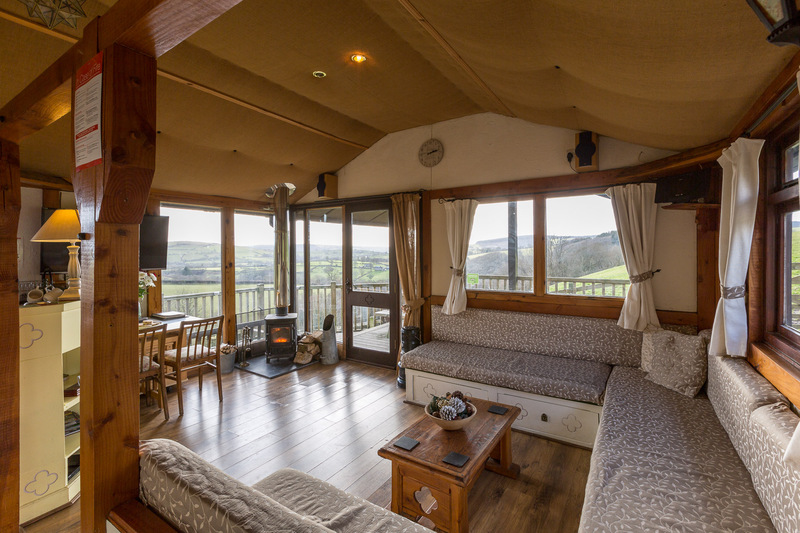 Inside, a cute and comfy living area greets you, complete with a large seating area and wonderful log burning stove (perfect after an afternoon exploring the hills!). Floor-to-ceiling windows bring those fantastic views inside to enjoy from the comfort of the sofa or the dining table. 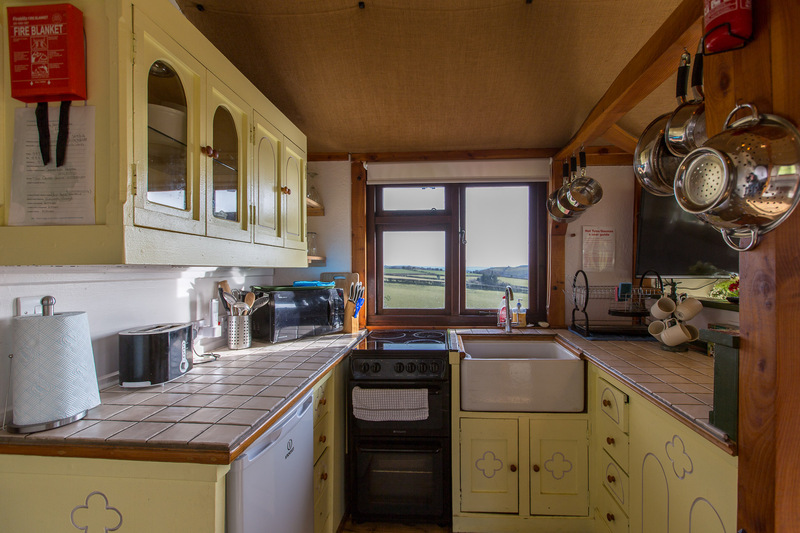 The kitchen area is fully equipped for self-catering, offering everything including the butler sink! There is also a washing machine and tumble dryer – handy if you’re spending your days outdoors come rain or shine. 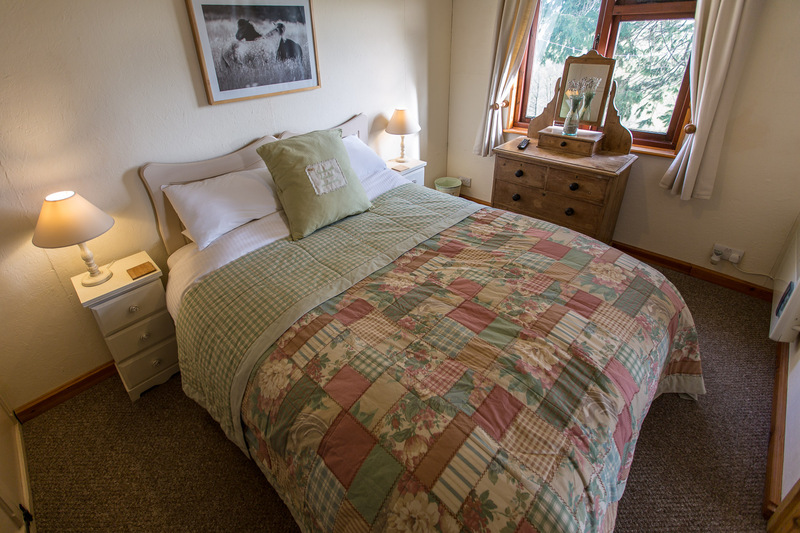 The large double bedroom offers a comfortable place to lay your head, as well as plenty of storage space. 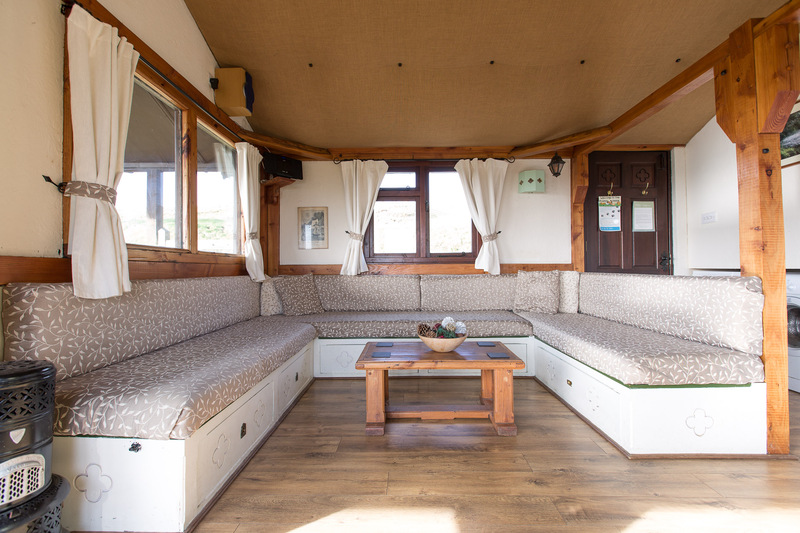 There is also a cosy single bedroom and, if you’re a group of five, the living room sofa can be converted to a double bed at night (imagine waking to those views!). The bathroom, offering a bath with shower overhead, has been finished to an equally high standard with its sage-green wooden panels. And under the covered terrace, indulge in a little alfresco dining, or enjoy your morning coffee with the countryside as your backdrop – regardless of the weather. 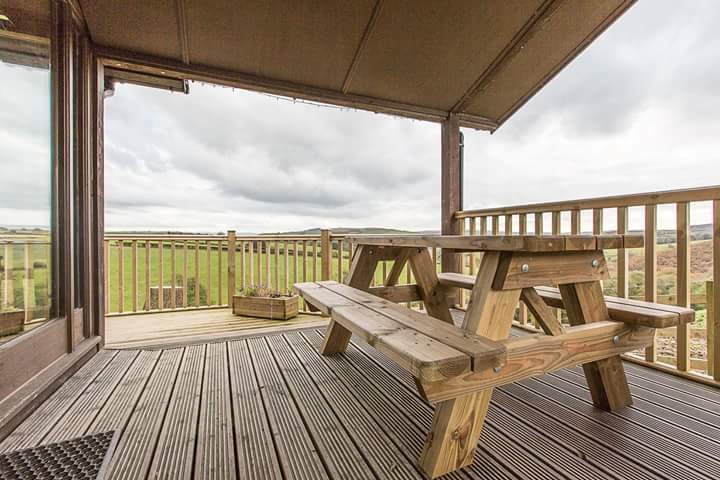 Pengelli Farm Lodge is also a perfect base for discovering the whole of South West Wales. Immediately nearby, you’ll find the magnificent Brechfan Forest, a perfect playground for walkers, mountain bikers and horse riders. And if you’re one of the latter, you can even stable your horse at the farm during your stay, so why not bring him along? The River Cothi is renowned for its trout and sea trout (or ‘sewin’), so don’t forget your fishing rod! Gardeners can look forward to a tour of the National Botanic Garden of Wales before heading on to Aberglasney, and the National Wetlands Centre makes for a wonderful family day out of bug hunting, pond dipping and bird watching. And don’t forget to stop by the popular Dolaucothi Gold Mines, first excavated by the Romans and now an unforgettable experience for visitors. A little further afield, you’ll find the legendary Brecon Beacons, the resplendent Cambrian Mountains and the spectacular Cefn Sidan – the longest beach in Wales. 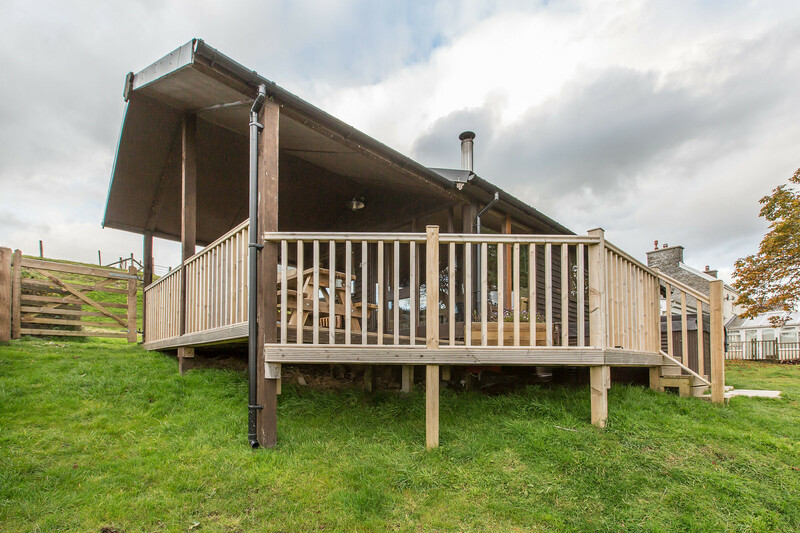 After a busy day out, you’ll be ready to return to the haven of your cabin, where your first sip of wine on the terrace is even more rewarding (not to mention your long dip in the hot tub!). 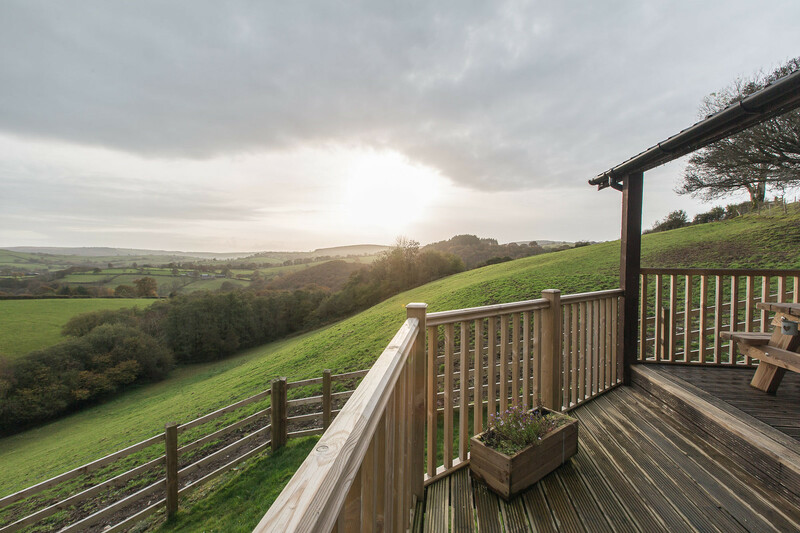 So whether you’re coming to Carmarthenshire for the views, the activities, or simply to get away from it all, there’s no stay more perfect than at Pengelli Farm Lodge. Pets are allowed and are free of charge, no smoking inside the lodge, highchairs available on request, check-in time 2pm – 4pm or later by arrangement. 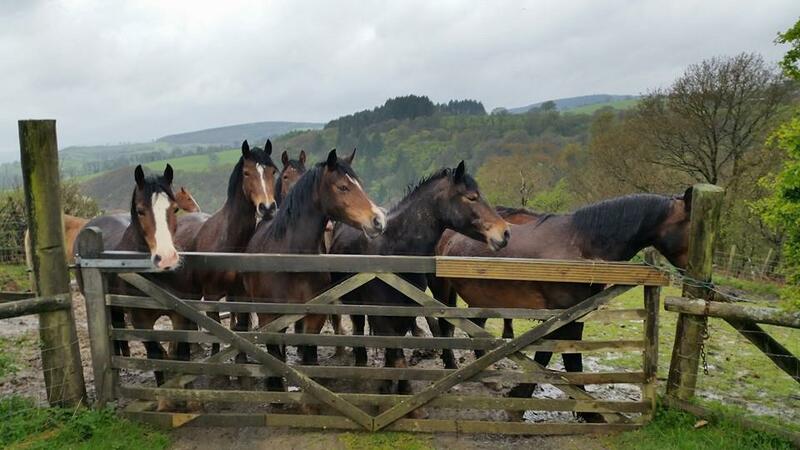 On-site stables available if you wish to bring your horse.